How to Configure Connection, Controller, and Door Settings for XP-M1000i or XP-M1300i Controller with xPortal3000 Software? 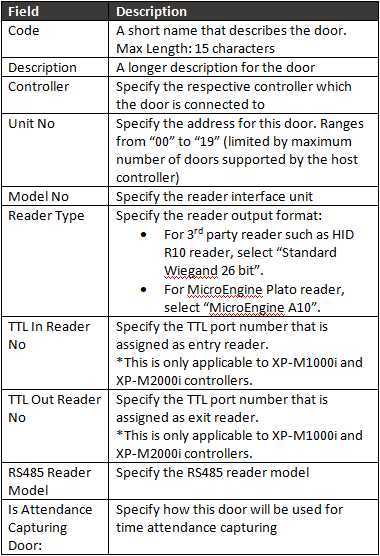 How to configure Connection, Controller, and Door settings for XP-M1000i / XP-M1300i controller with xPortal3000 software? 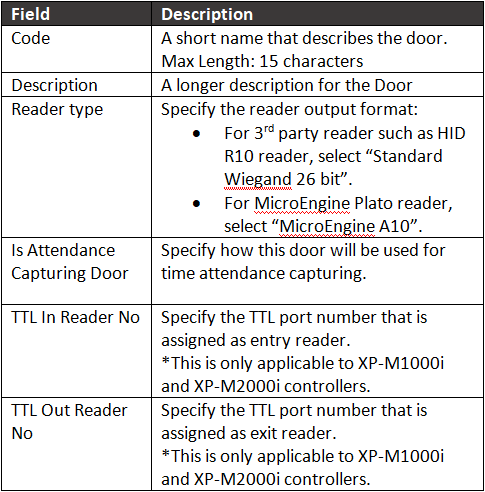 A guide to configure Connection, Controller, and Door settings for XP-M1000i / XP-M1300i controller with xPortal3000 software. 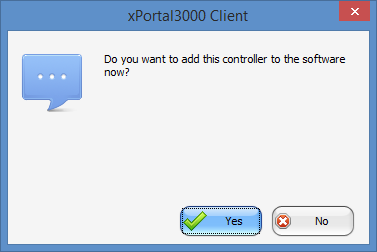 For first time configuration on Connection, Controller, and Door settings for XP-M1000i / XP-M1300i controller with xPortal3000 software. 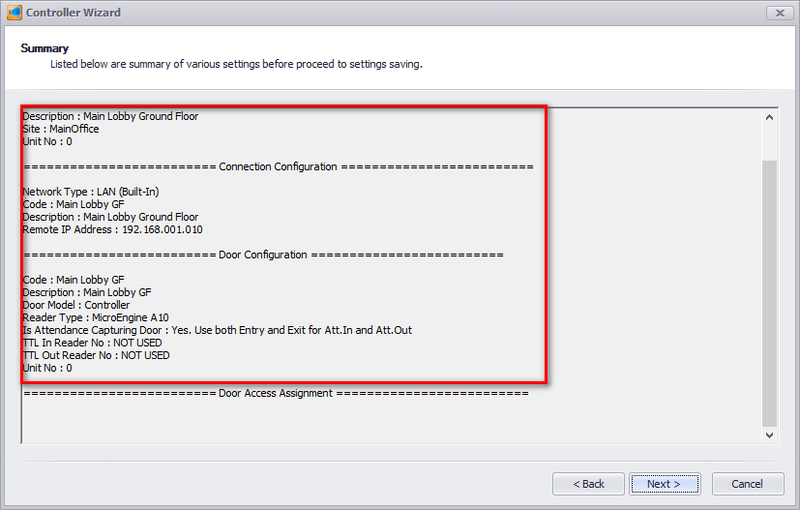 Before configuringConnection, Controller, and Door settings for XP-M1000i / XP-M1300i controller with xPortal3000, ensure that the pre-configure network connection has been complete. 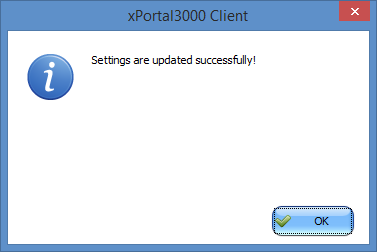 Ensure that the xPortal3000 Service is running in xPortal3000 Server Configuration Manager. 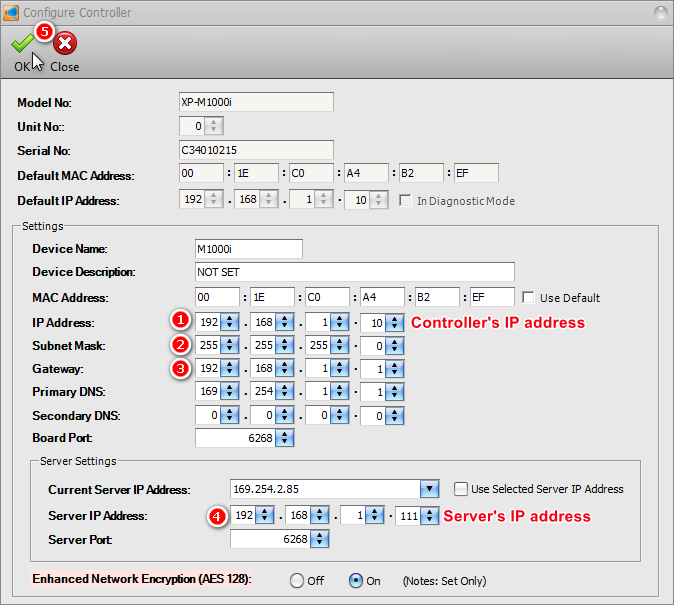 Method 1: To configure Connection, Controller, and Door settings manually after assigning static IP address for XP-M1000i / XP-M1300i controller via Web Diagnostic. 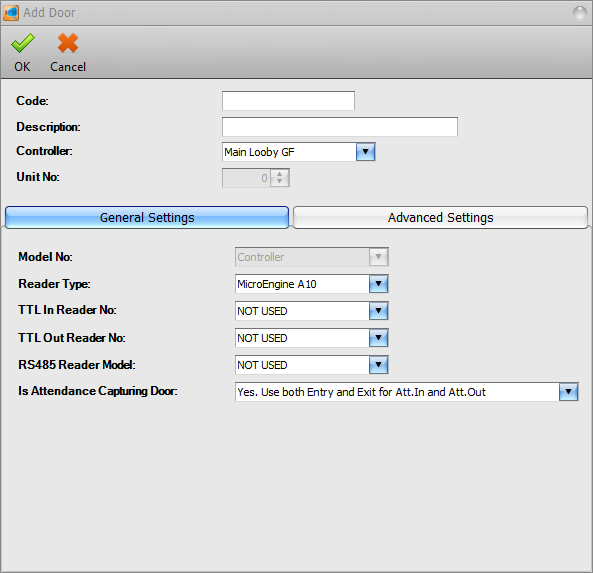 Method 2: To configure Connection, Controller, and Door settings using the Device Lookup feature in xPortal3000. 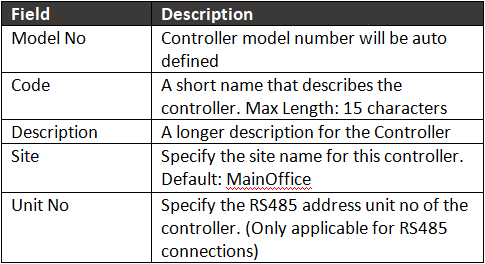 To observe the Controller and Door status at Device List. 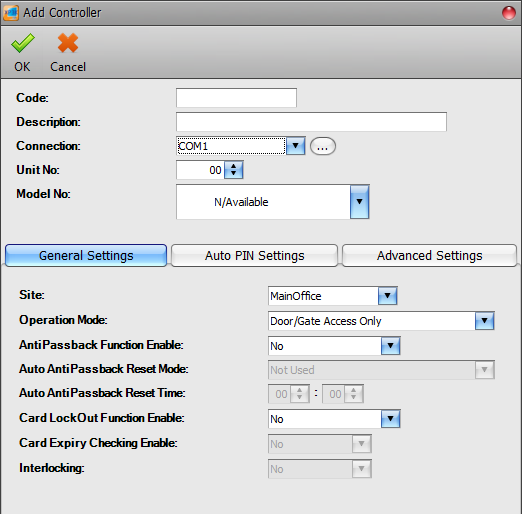 Users can choose EITHER one of the two methods to configure the Connection, Controller, and Door settings. 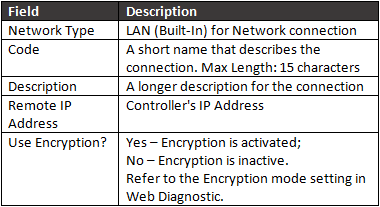 Users may refer to ID-000027 How to Pre-configure Network Connection for IP Controllers? for the complete pre-configuration steps. Step 1: Open xPortal3000 Server Configuration Manager. Step 2: Ensure that the Service State is Running. 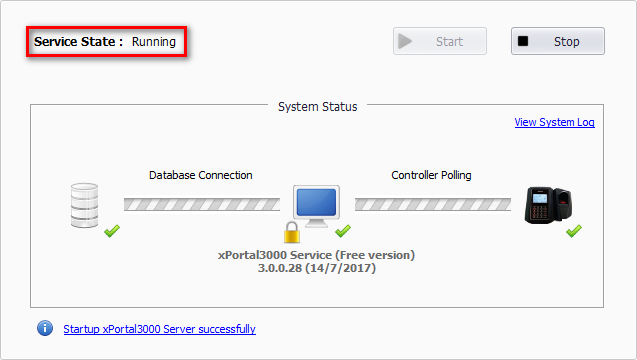 Step 3: If the Service State is Stopped, users have to start the xPortal3000 Services by clicking Start. Step 1: Assign static IP address for XP-M1000i / XP-M1300i controller via web diagnostic. Users may refer to ID-000026 How to Configure IP Address for IP Controllers? for the complete configuration steps. Step 2: For Connection setup, open Control Panel > System Setting > Connection. Step 4: Click Add to add a new connection. The Add Connection window will be shown as below. Click OK to save the changes. Step 5: For Controller Setup, back at System Setting menu, click Controller icon. Step 7: Click Add to add a new controller. The Add Controller window will be shown as below. Click OK to save the changes. 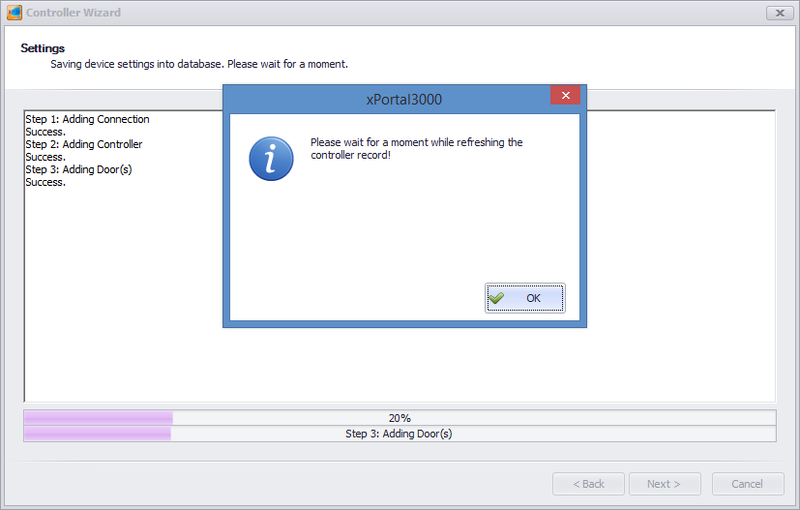 Step 8: For Door Setup, the Add Door window will be prompted by xPortal3000 software as shown below. Click OK to save the changes. TTL In/Out Readers are then connected to the respective TTL ports following the TTL In Reader No. and TTL Out Reader No. settings respectively. If users are not using TTL readers, users can ignore the TTL Reader settings. Step 10: The Connection, Controller, and Door settings are configured. Users can now observe the Controller and Door Status at Device List. Step 2: The Controller Discovery and Device Discovery windows will be shown as below. 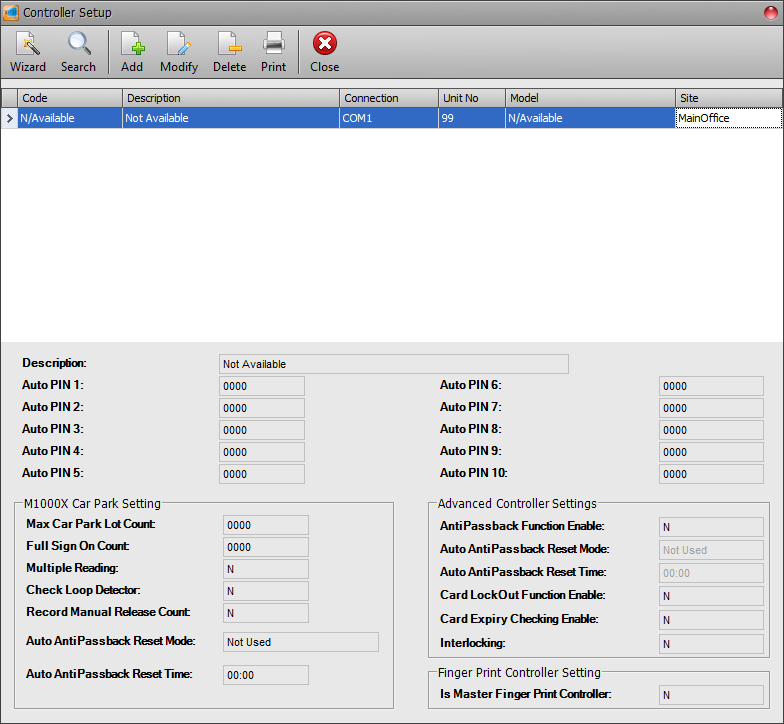 Once the connected controllers are discovered, select the controller to be configured and click Configure Controller. 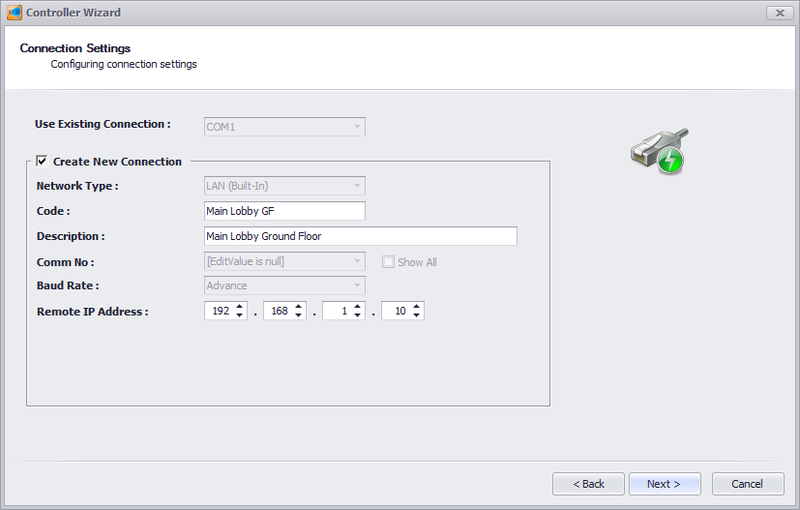 Step 3: The Configure Controller window will be shown as below. Users are advised to re-assign the controller's IP address, subnet mask, gateway and Server IP address following the site requirements. Step 4: After clicking OK, xPortal3000 software will prompt users to enter the web diagnostic password to proceed to update changed settings. 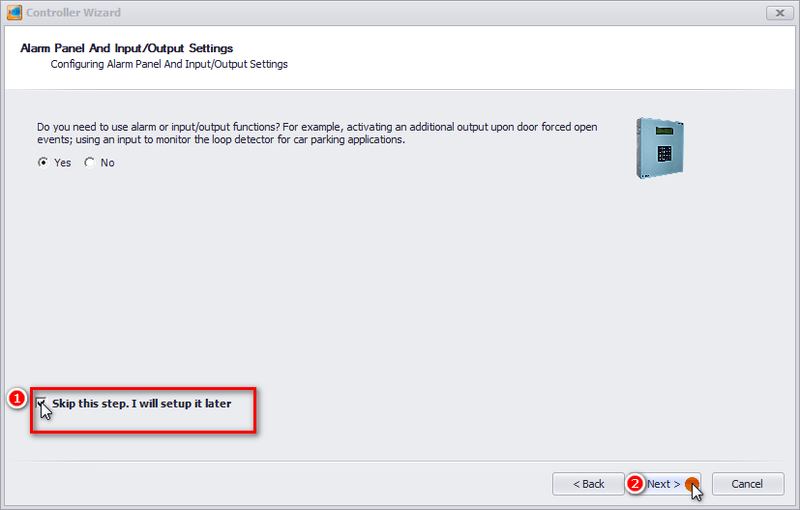 Step 5: The following message window will be shown once all settings are updated. Click OK. 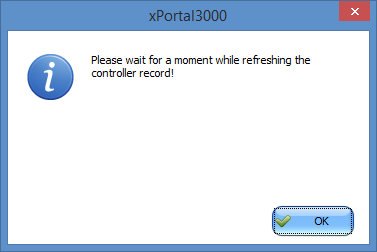 Step 6: xPortal3000 software will then show this message window to prompt users to add the controller to the software database. Click Yes to continue. Step 7: The Controller Wizard will be shown. At the Controller Settings window, fill up the respective fields. Click Next to continue. 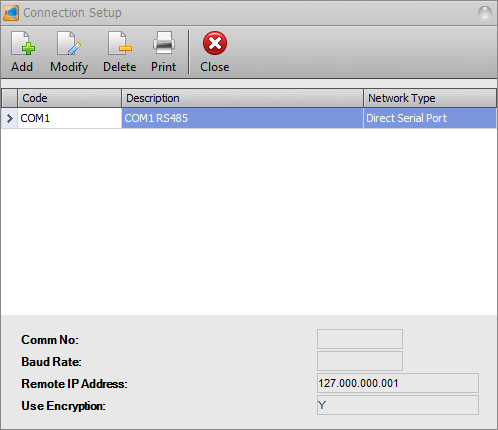 Step 8: The Connection Settings window will then be shown. Fill up the respective fields and click Next to continue. 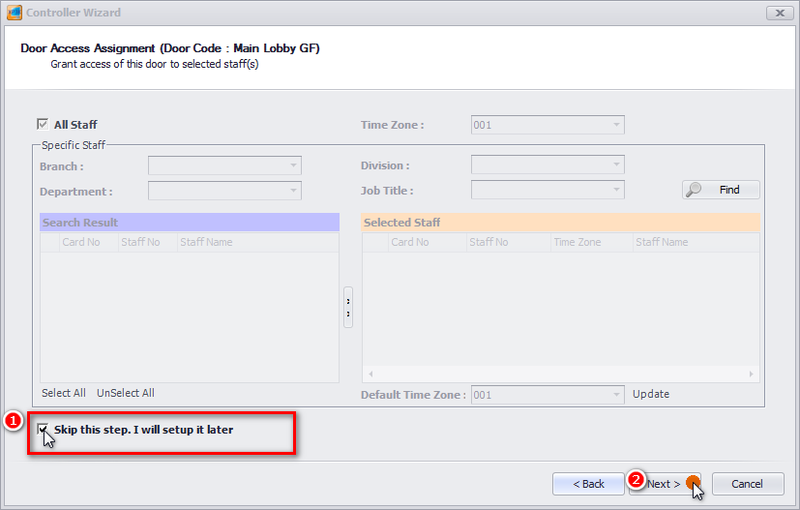 Step 9: At the Door Settings window, fill up the door details as per below. Click Next to continue. 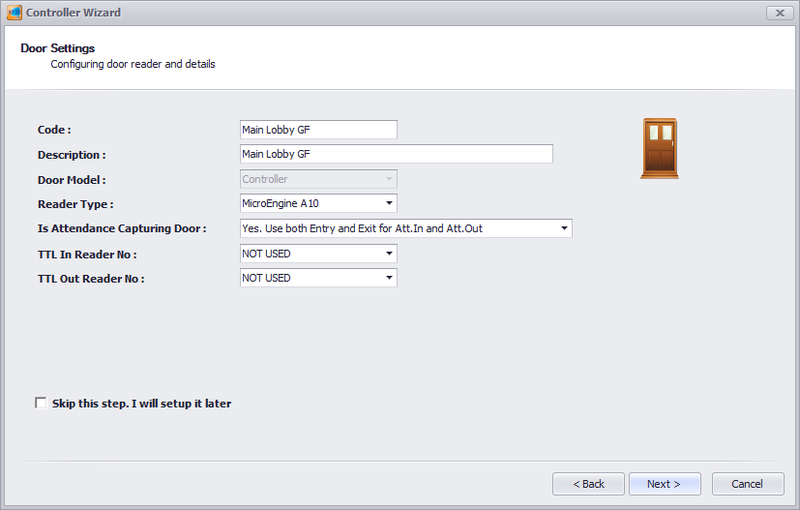 Step 10: The Door Access Assignment window will be shown. Check the checkbox for "Skip this step. I will setup later" to temporarily skip the setup. Click Next to continue. 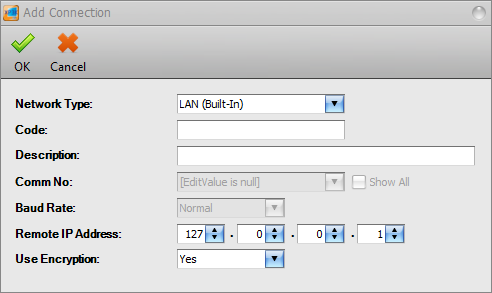 Step 11: The Alarm Panel And Input/Output Settings window will then be shown. Check the checkbox for "Skip this step. I will setup later" to temporarily skip the setup. Click Next to continue. 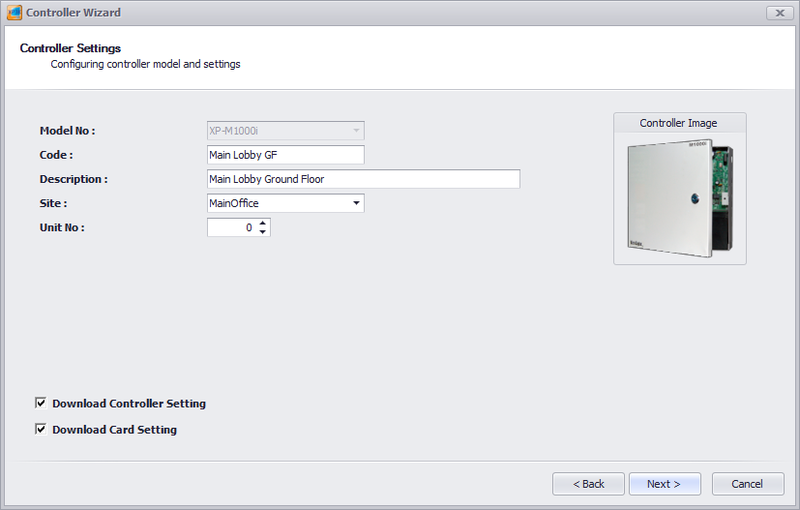 Step 12: At the Summary window, review all the configuration settings for Controller, Connection, and Door settings to ensure that all settings are correct before clicking Next to proceed. Step 13: The following message window will be shown while software is updating the device settings into the database. Please wait until the process is completed. Step 14: The Connection, Controller, and Door settings are configured. Users can now observe the controller and door Status at Device List. Step 1: After completing the Connection, Controller and Door settings using EITHER of the two methods, users can now check the status of the controller and door. Step 2: To check the status of the controller, go to Device List > Controller List to verify that the controller Status is Up. Step 3: To check the status of the door, go to Devices List > Door List to verify that the door Status is Up.